The U.S. NTSB concluded their investigation into the cause of the August 2010 fatal accident involving a DHC-3T Turbine Otter in Alaska. Former U.S. Senator Ted Stevens was among the five fatalities. 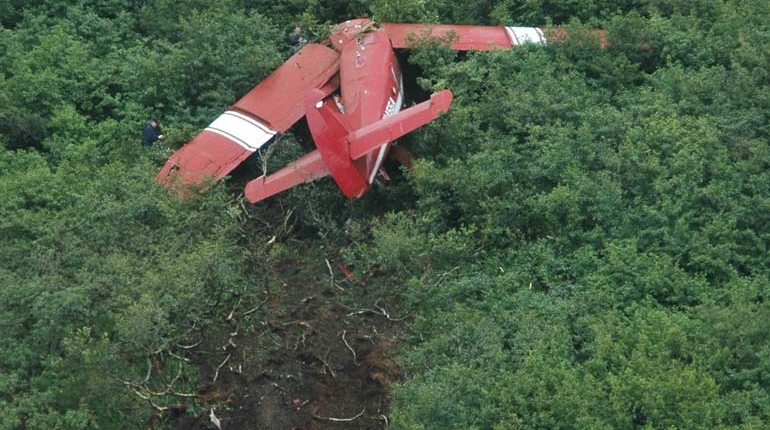 On August 9, 2010, the single-engine, turbine-powered, amphibious float-equipped de Havilland DHC-3T airplane, N455A, impacted mountainous, tree-covered terrain about 10 nautical miles northeast of Aleknagik, Alaska. The airline transport pilot and four passengers received fatal injuries, and four passengers received serious injuries. The flight was operated by GCI Communication Corp. from a GCI-owned private lodge on the shore of Lake Nerka and was en route to a remote sport fishing camp about 52 nm southeast on the Nushagak River. Marginal visual flight rules were reported at Dillingham Airport, Dillingham, Alaska, about 18 nm south of the accident site. The National Transportation Safety Board determined that the probable cause of this accident was the pilot’s temporary unresponsiveness for reasons that could not be established from the available information. Contributing to the investigation’s inability to determine exactly what occurred in the final minutes of the flight was the lack of a cockpit recorder system with the ability to capture audio, images, and parametric data. The NTSB noted that fatigue, stress or a medical condition could have been a factor in the pilot’s temporary unresponsiveness. However, there is insufficient evidence to determine whether these factors played a role in the accident.